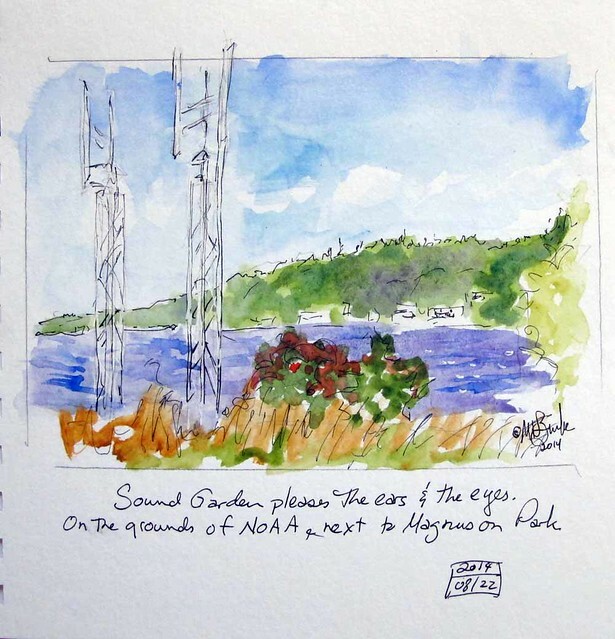 The Friday Ad Hoc group of Urban Sketchers Seattle went to Magnuson Park today. It covers a point that extends into Lake Washington. Some people sketched the climbing wall at the Mountaineer Club. 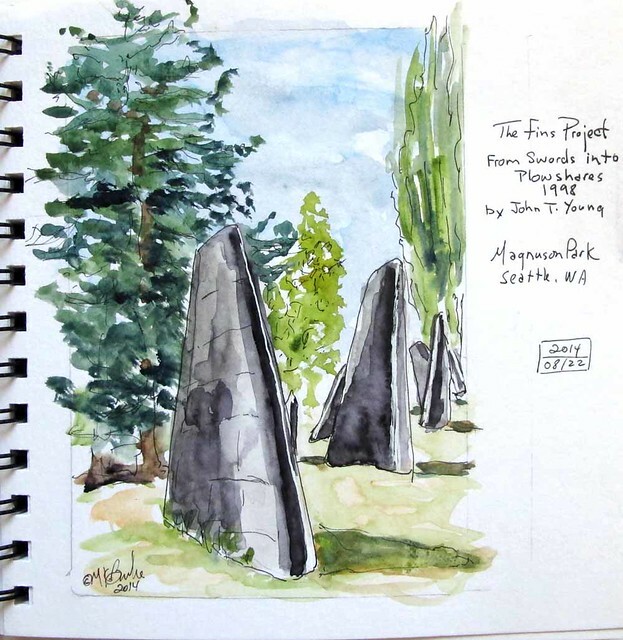 I was inspired by Mark Ryan's sketch of the Fin Project, done the last time USk Seattle was here in May 2012. I was determined to find my way to this sculpture installation. "Made from submarine fins, this sculptural installation is arranged to represent a pod of whales. Dedicated in 1998, this art work was created by John T. Young." More about Fin Art can be found here. I had time for 2 sketches. 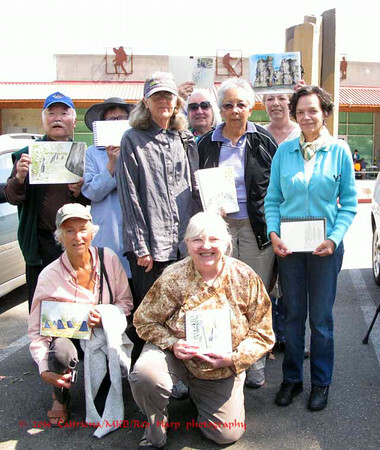 We gathered again to share our sketches. 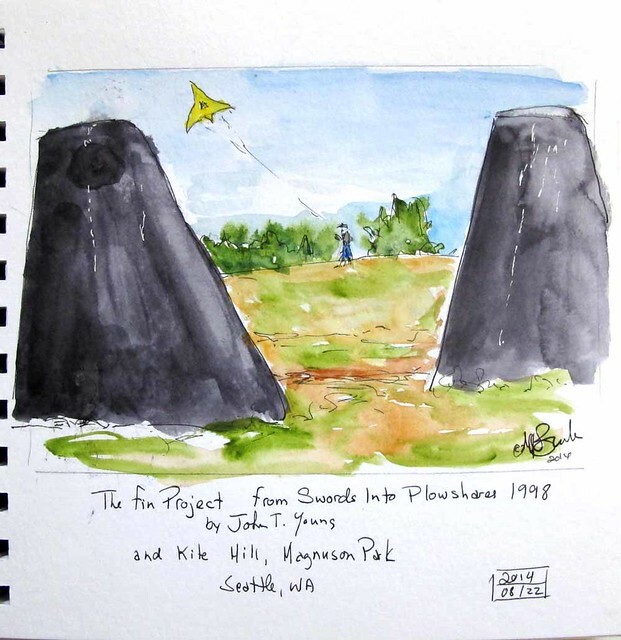 "This installation features pipes that generate muted tones, with the pitch dependent on the direction and velocity of the wind..... made in 1983 by Douglas R. Hollis"
I sat in the middle of the installation to do this sketch. As the wind increased, so did the sounds, which were quite pleasant.